Worn upholstery isn’t sending this well-made chair to the landfill anytime soon. 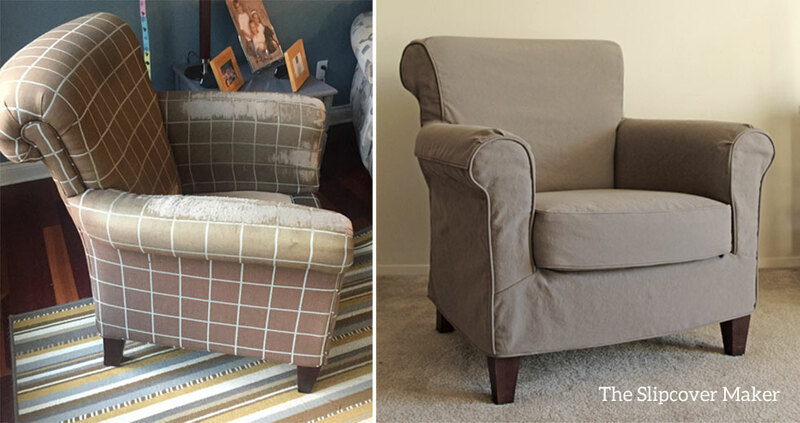 Carolyn opted for a custom slipcover to keep it in service a while longer. A good idea since this family-favorite piece is still sturdy and comfy. For this project I used 12 oz. cotton bull denim in color Mushroom from Big Duck Canvas. 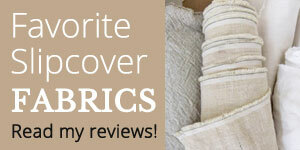 Denim makes the best casual, washable, put your feet up type of slipcover. 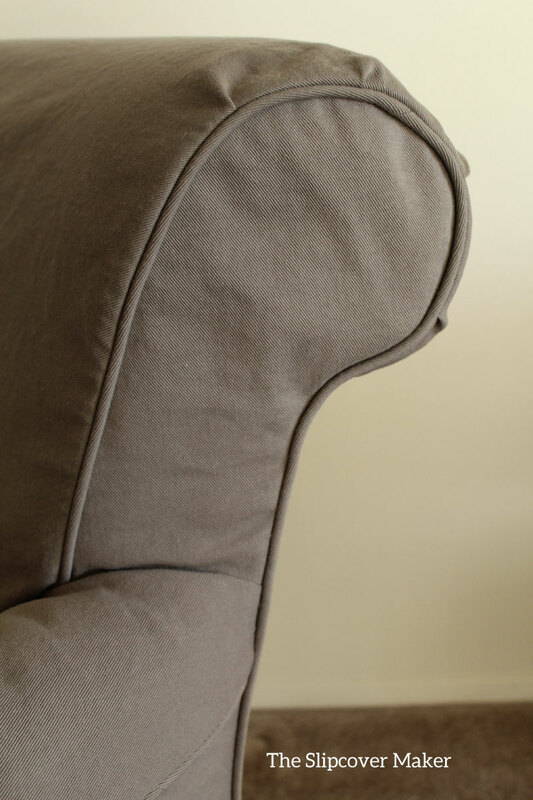 In keeping with the relaxed look & feel of the fabric, I pin fit over the fussy upholstered details at rolled top sides and front arms with simple, flat panels. Instant update! Tip: be sure to pre-shrink any cotton denim you choose for your slipcover even if it’s labeled “Preshrunk” or “Prewashed”. Follow my instructions for best results. This entry was posted in armchair slipcovers, denim slipcovers and tagged custom slipcover on January 27, 2018 by slipcovermaker.